The good news is that it is for free and for everyone. 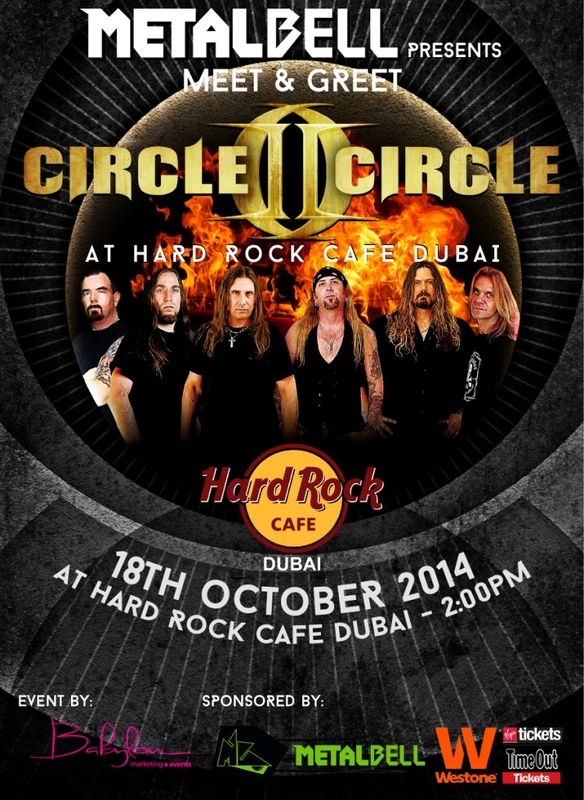 Just head to Hard Rock Cafe Dubai, bring your Circle II Circle CDs and gadgets to get them signed, and have an awesome time with the band. It will start at 2:00 pm sharp, so don’t be late. You could also come early and have your lunch there. Rock Hard With Circle II Circle Concert Link here.